Unlike most package build companies, we are not restrictive with regard to the construction systems we offer for self-build homes. There is not a one size fits all new build method. When building your own home, some self-build systems and construction materials are more appropriate than others for many reasons including: lifestyle, design, geography, topography, geology, eco-credentials, budget and preference. At the earliest stage, we will discuss your new build method options as well as the pros and cons of each. At the forefront of our minds is the “fabric first” approach to building design – maximising the performance of the construction materials used to help reduce costs and improve fabric energy efficiency. Traditional masonry is an historical construction system that is still used today. While it is one of the most time-consuming new build methods it has its place in the modern portfolio of building techniques. 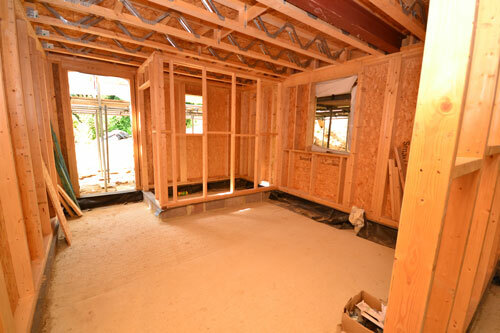 It can be built to high levels of airtightness and insulation. Also, trained bricklayers are generally easier to find than professionals who specialise in less well-known build methods. Thin joint construction has been widely used for over 60 years and combines the use of large format, accurately dimensioned aircrete blocks with quick drying mortar. The benefits of quick drying mortar are the possibility of increased building heights and surface areas per day. 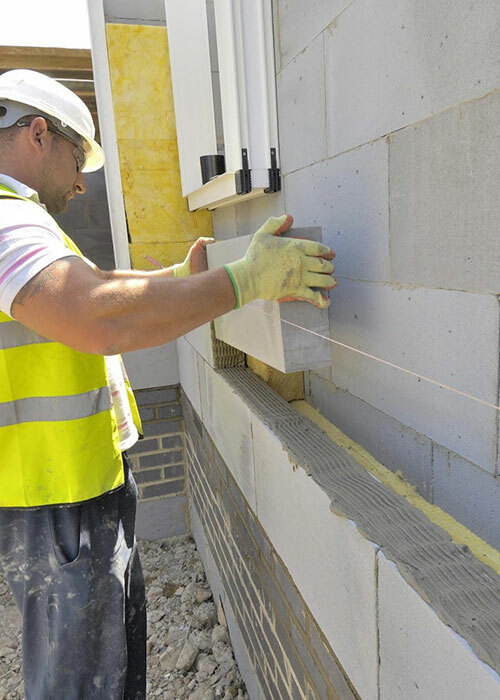 A direct competitor of Structural Insulated Panels and timber frames with regard to speed, thin joint masonry (or thin joint blockwork) allows greater flexibility once on site. Post fixing of cavity ties enables the external finish to be taken off critical path planning. The blocks are manufactured using 80% Pulverised Fuel Ash (PFA). This means it is acknowledged by WRAP as a recycled product and so is a sustainable construction material for your self-build home. Also, larger blocks and 2mm joints reduce thermal bridging and improve airtightness. 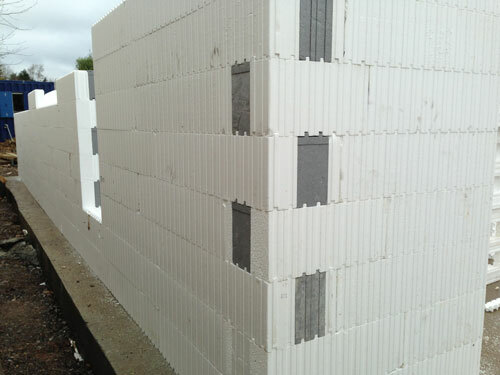 An Insulating Concrete Formwork (ICF) construction system was developed after WWII and is based on large hollow lightweight block components that lock together (like Lego bricks) without intermediate bedding materials to provide a formwork system into which concrete is poured. Once set, the concrete becomes a high strength structure and the formwork remains in place as thermal insulation, with U-values ranging from 0.30 W/m²k to 0.10 W/m²k, ICF is a good choice when self-building a sustainable home. Structural Insulated Panels (SIPs) offer excellent thermal performance to home builders keen on sustainable living. 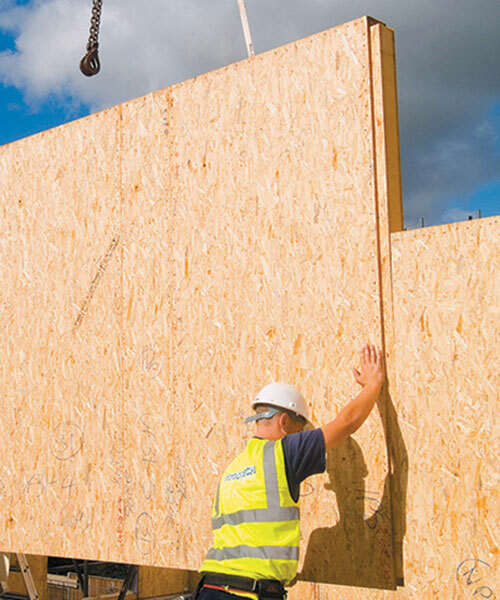 Light-weight SIP panels can be used in floors, walls and roofs. 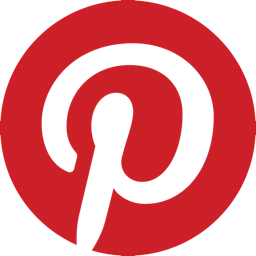 SIPs panels are constructed from a sandwich of SterlingOSB and a solid core of polyurethane (PUR) insulation. This combination ensures the building is heated evenly, remains free from cold spots and benefits from reduced heating costs. As they are constructed in a factory environment, SIPs are dimensionally accurate and, when on-site, they take just 2-3 weeks to erect, removing this process from the critical path. 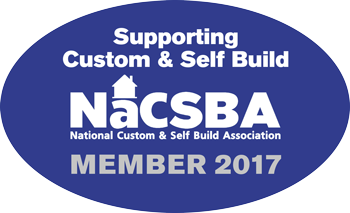 Please contact us for more information on new home self-build methods. 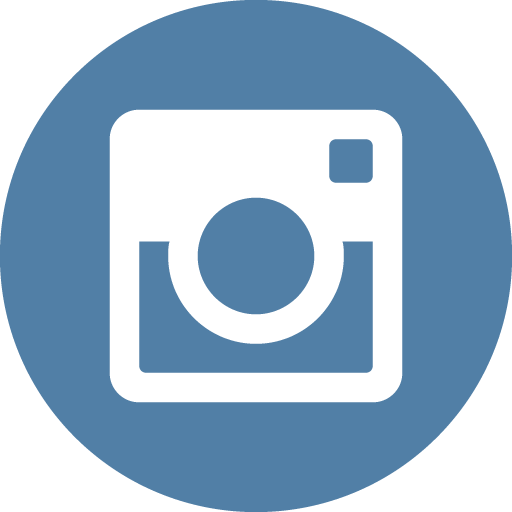 To get a free no- obligation quotation for our services fill in our online form with brief details of your self-build project/enquiry today.